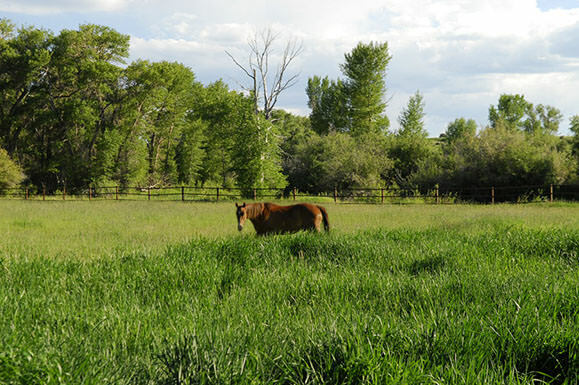 102 beautiful, secluded acres located on the Blacks Fork River in Wyoming’s historic Bridger Valley. 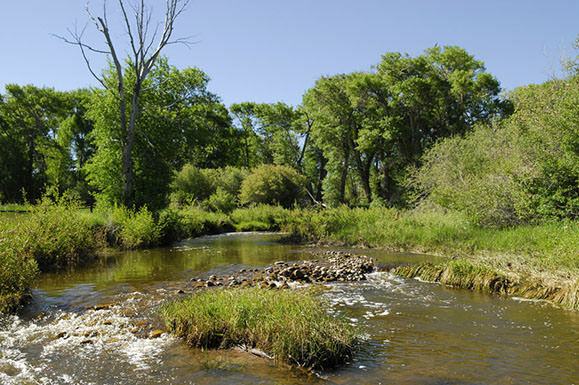 An easy 100-minute drive from Salt Lake City Utah mostly on Interstate 80. 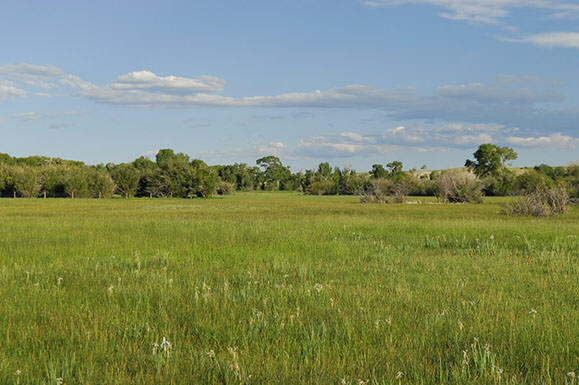 The farm land consists of very productive, tree-lined, flood-irrigated native hay meadows with the Blacks Fork River meandering through for about one-half mile. Meticulous improvements include a private, gated-entry drive, a new architecturally-designed four-bedroom, five-bath home and a fully-finished barn with a self-contained apartment overlooking a beautiful river-fed pond. 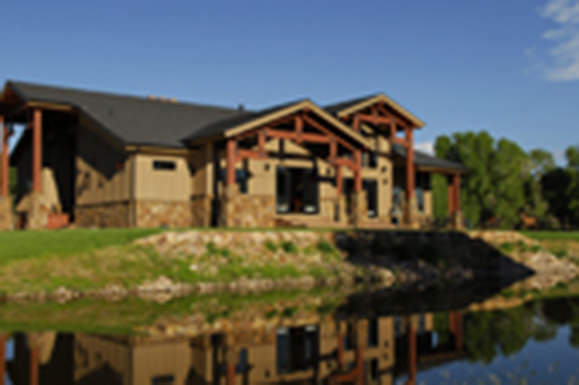 The grounds around the home and barn are fully landscaped and served by an automatic sprinkler system. 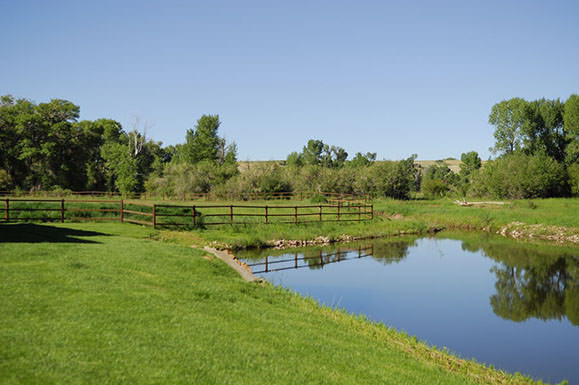 This spectacular Wyoming property for sale has all-new perimeter fencing with attractive welded pipe fence around the improvements.